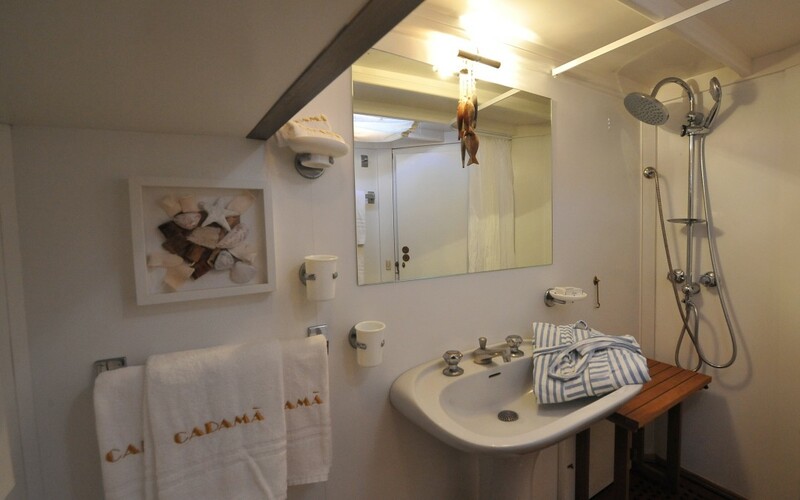 Cadamà’s winter quarters are in Riva di Traiano, Civitavecchia, one of the best spots on the coast of Lazio with the beautiful Tolfa mountains right behind and Rome one hour away by car. 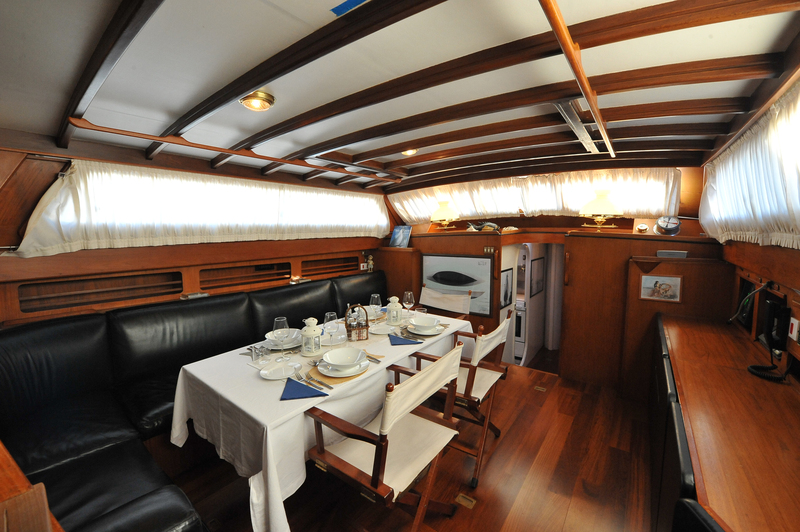 In summer she moves to the spectacular waters of north-eastern Sardinia from where she can reach all of the Tirreno sea. 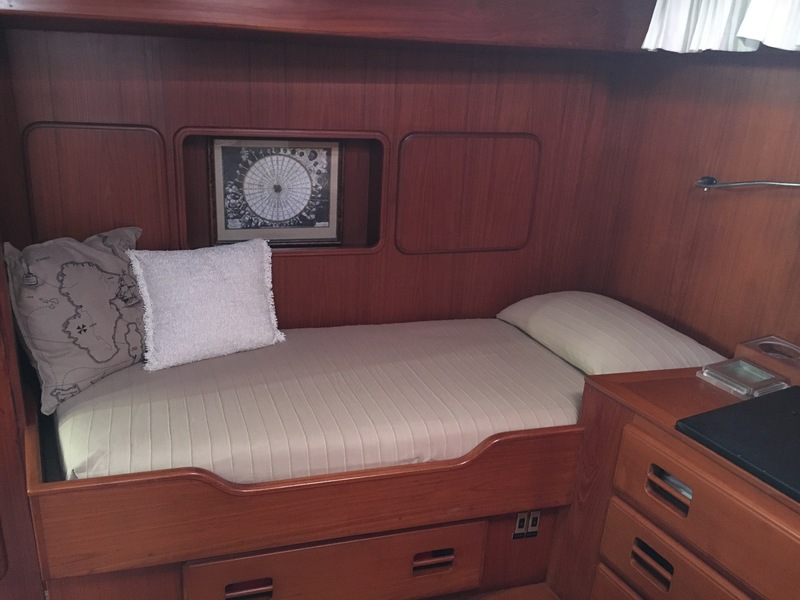 A 22 mts Marconi Ketch, built in the Beconcini yards of La Spezia on a Laurent Giles design, Cadamà was born in 1971 to appease the thirst for sailing of Albino Buticchi. 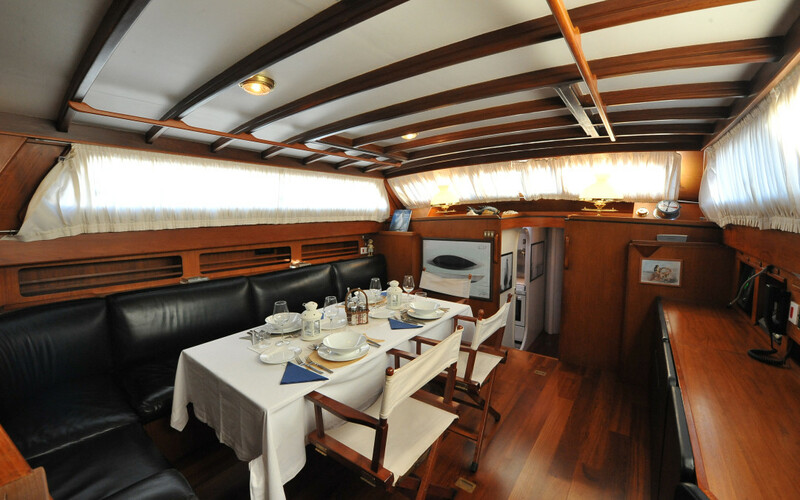 With her high and slender bow, her flowing lines and precious woods (mahogany for topside, Iroko for the hull and teak for the deck) Cadamà is an authentic lady. 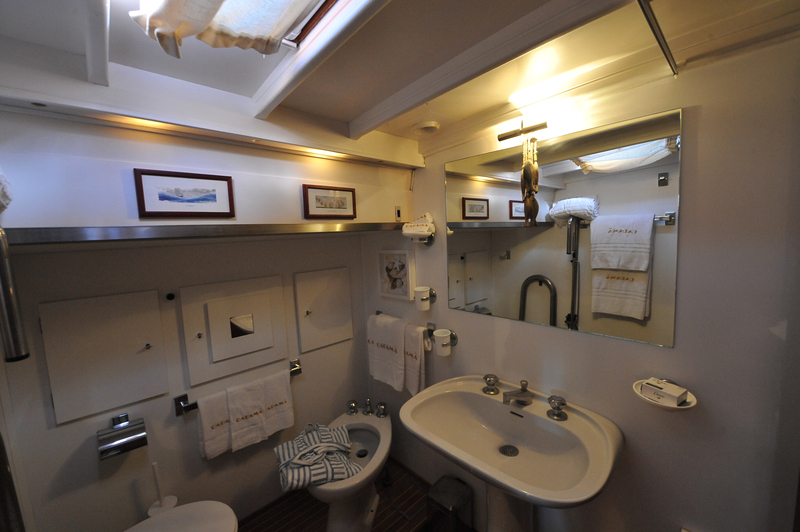 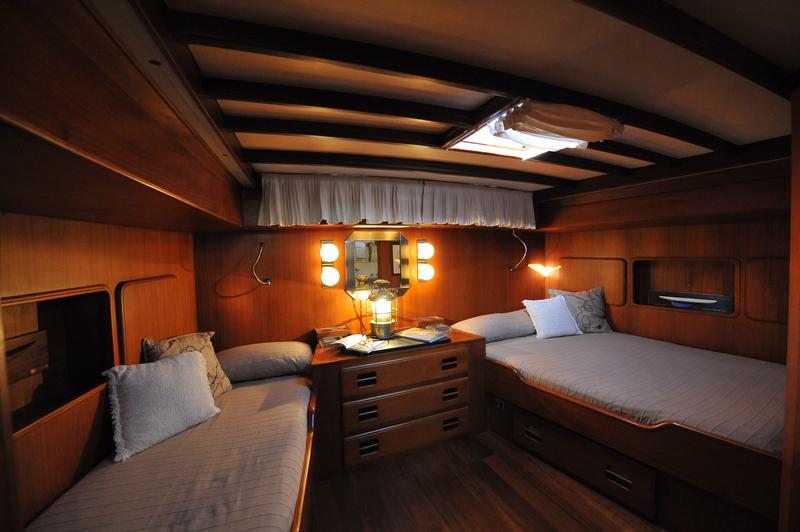 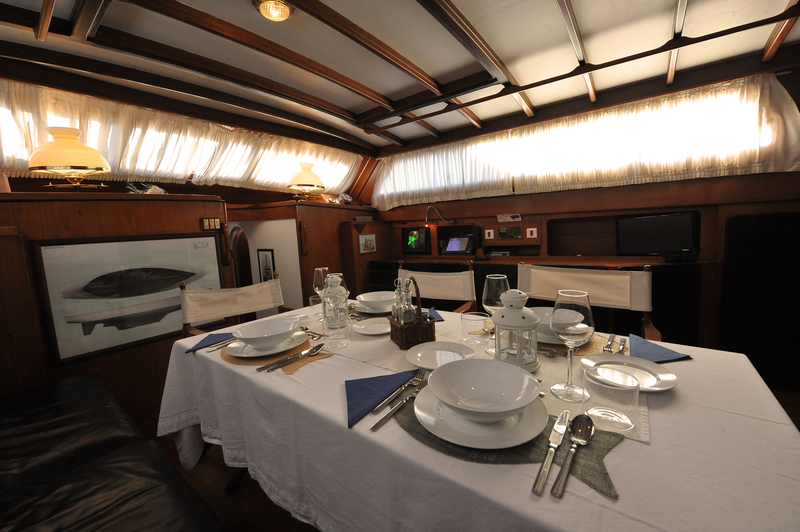 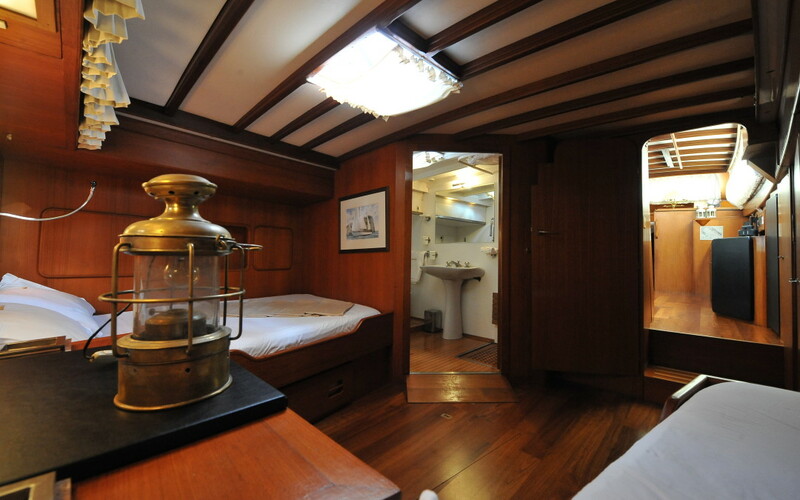 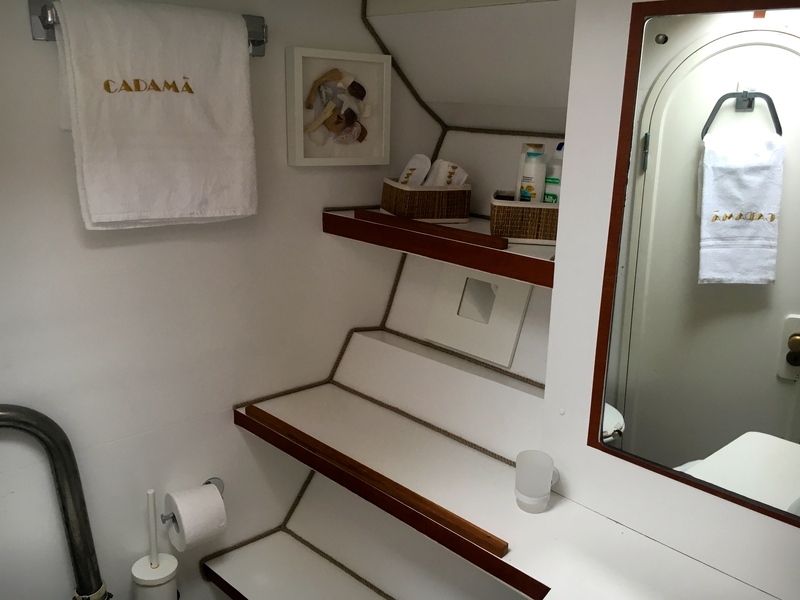 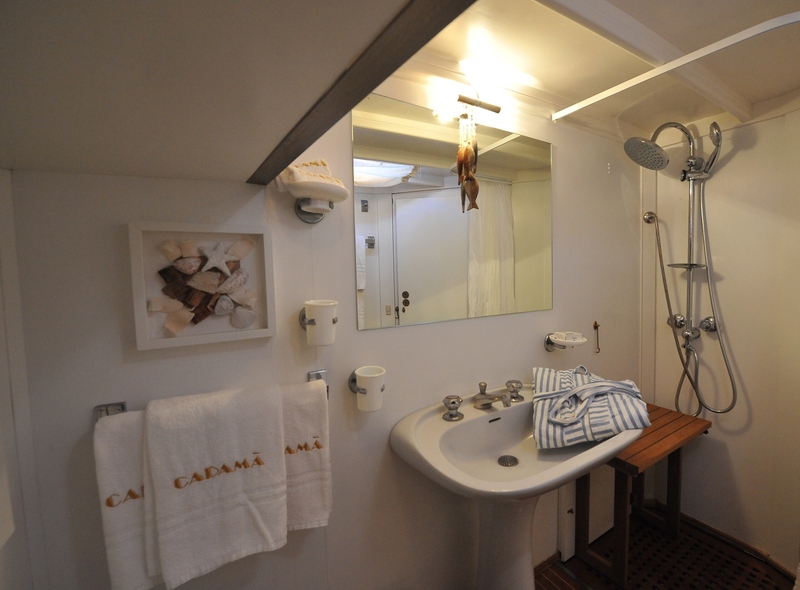 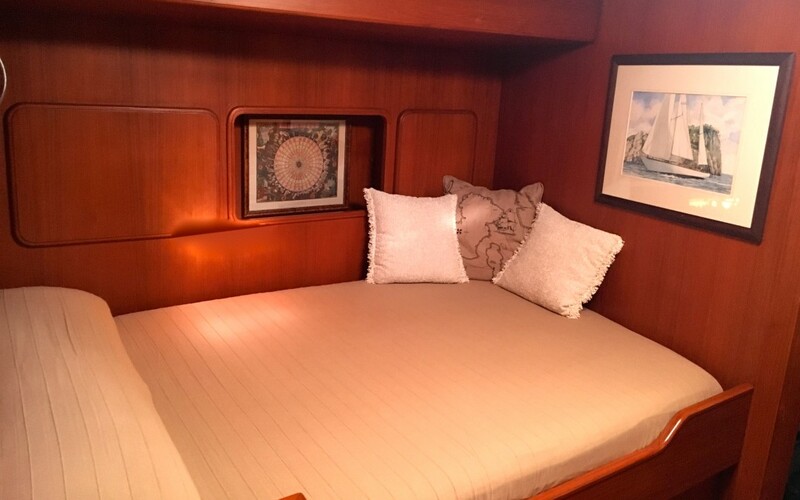 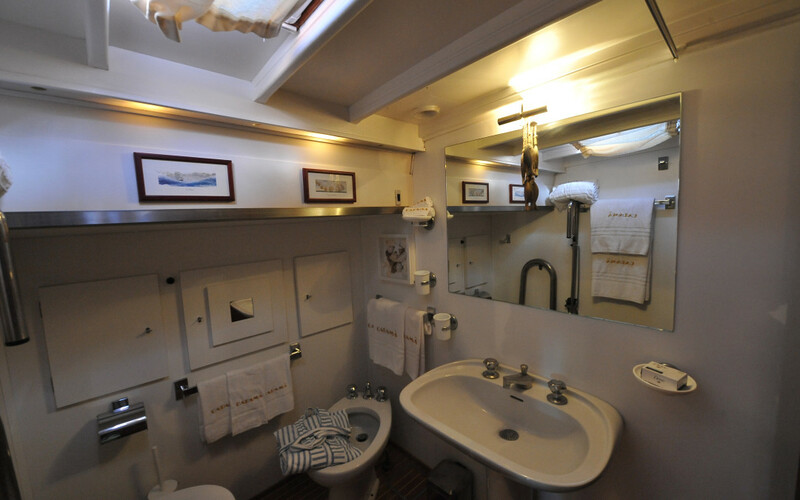 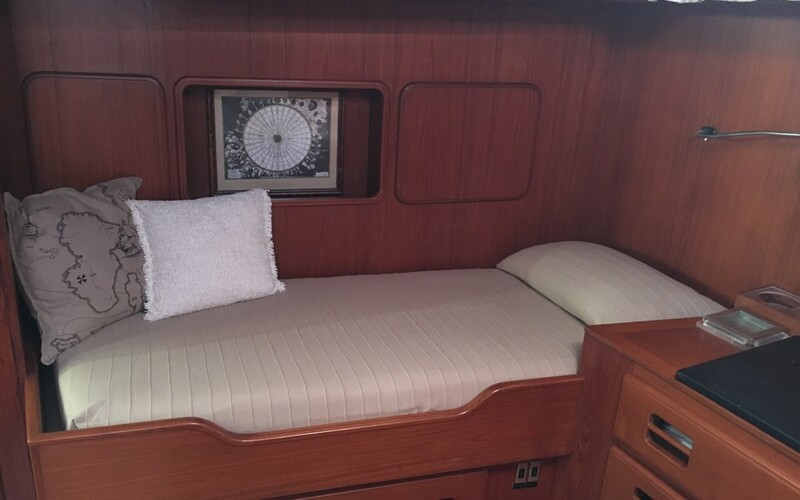 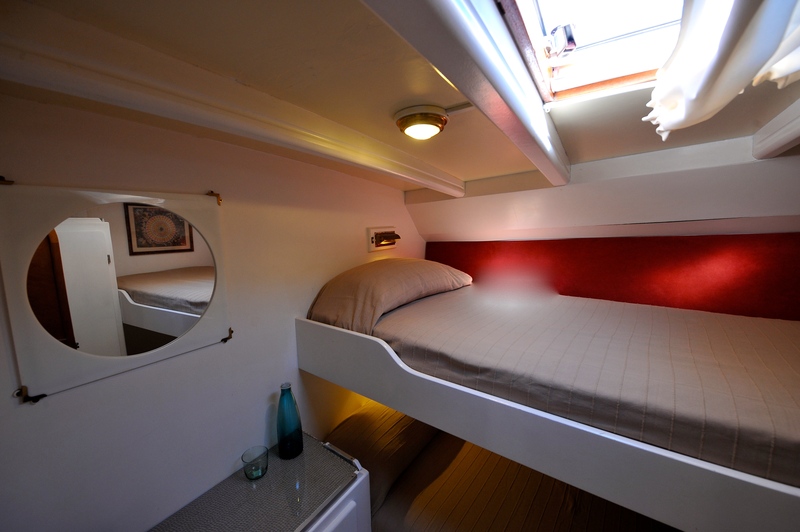 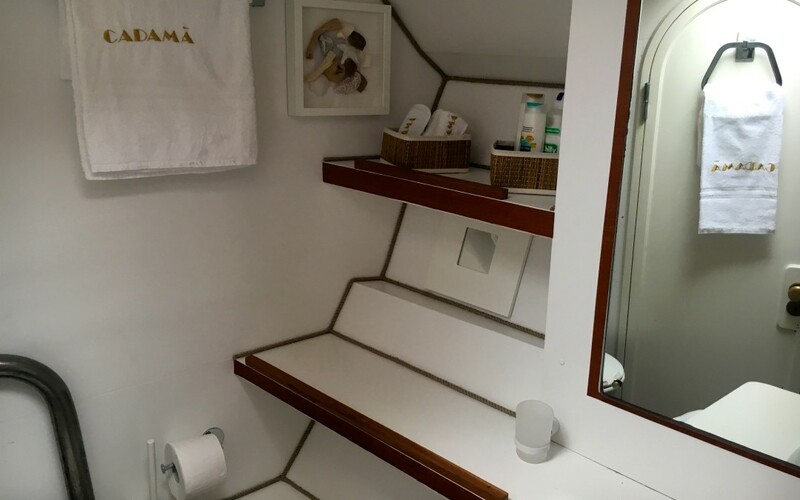 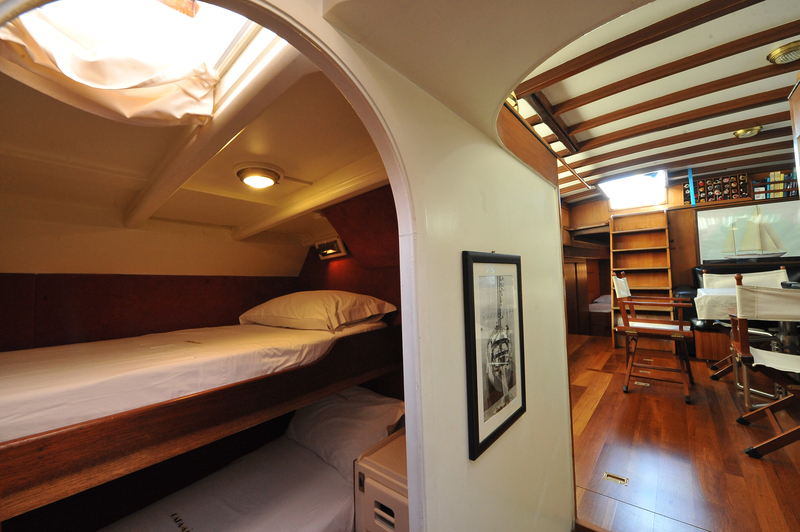 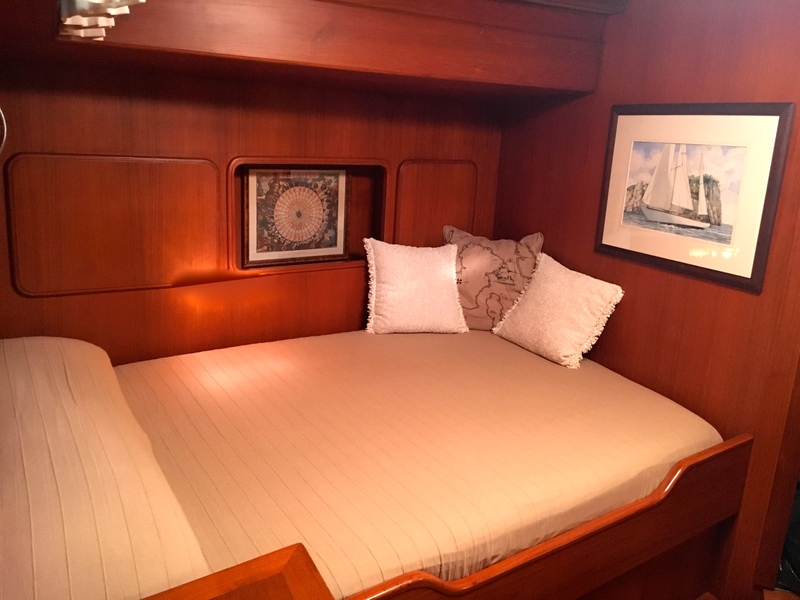 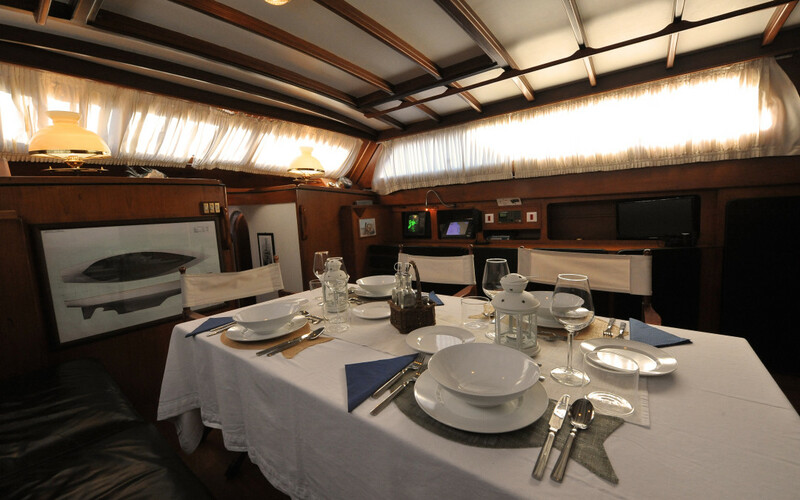 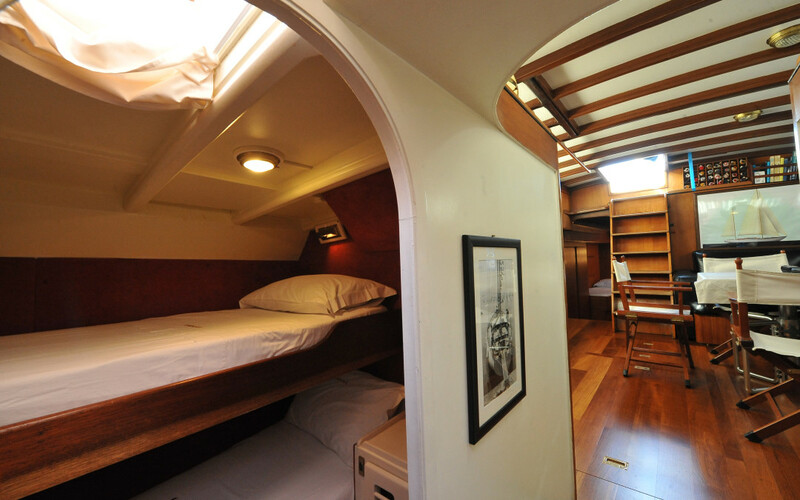 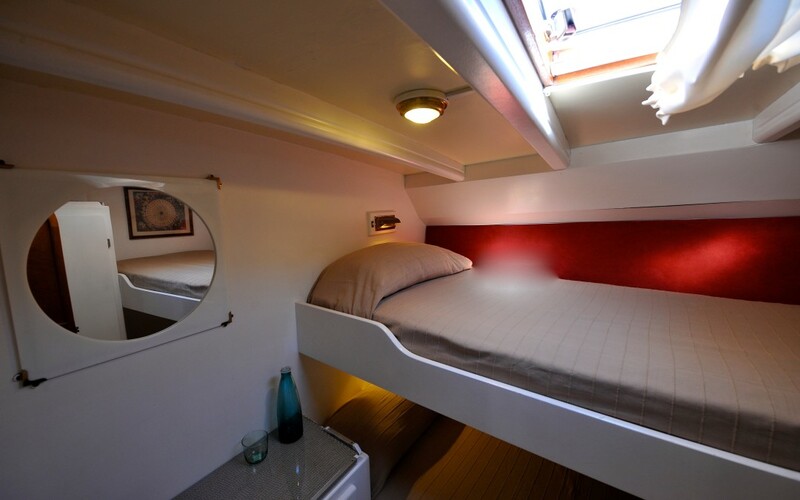 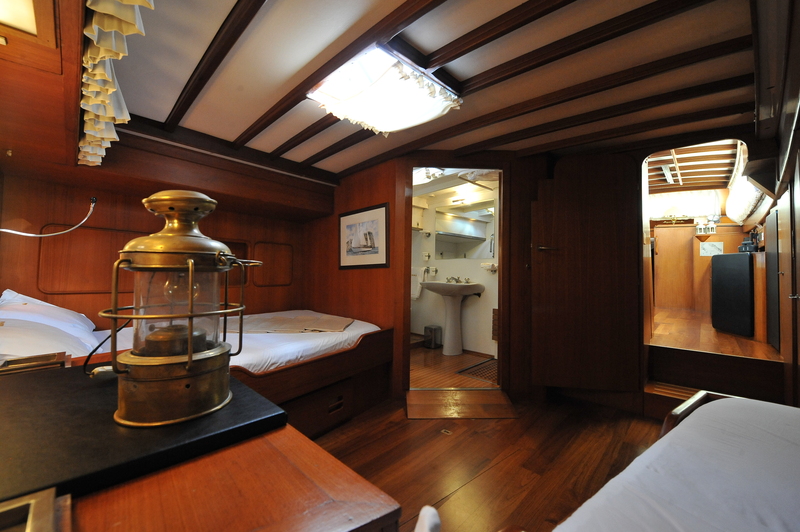 Three crew take care of navigation and of her maximum seven guests hosted in a main cabin with en-suit bathroom and two guests cabins with bunk beds and shared bathroom.